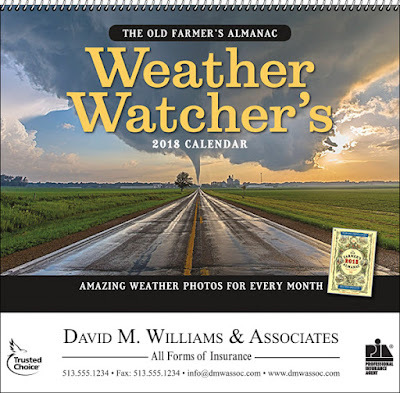 35-802 Old Farmer's Almanac Weather Watchers Wall Calendar. 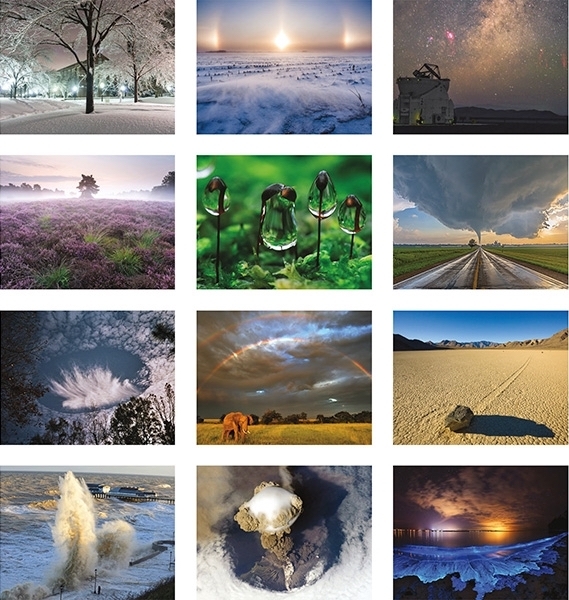 Amazing weather photos, one for each month for 13 months. 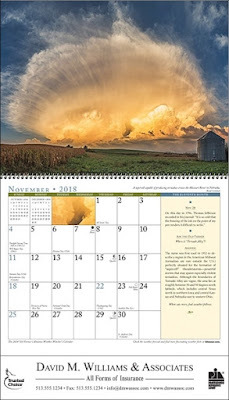 13-Month Format. Stapled or Spiral Binding (add 6¢ each for Spiral Binding).